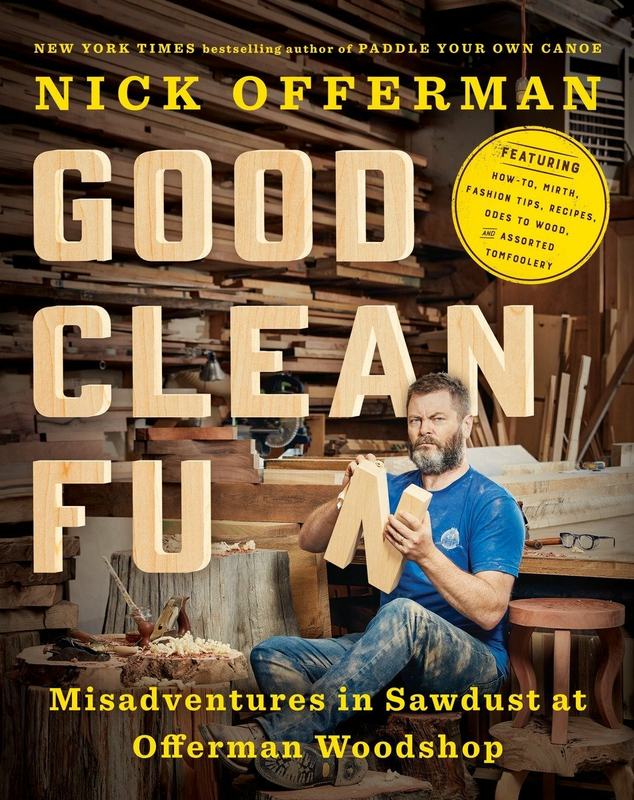 Carmichael's Bookstore and The Berry Center are excited to host an event with Nick Offerman, star of the hit television series Parks and Recreation and the FX series Fargo, for a reading and signing of his new book Good Clean Fun: Misadventures in Sawdust at Offerman Woodshop. Each $40 ticket includes a copy of Good Clean Fun ($35) and a $5 donation to The Berry Center, a nonprofit organization with the mission of putting Wendell Berry's writings to work by advocating for farmers, land conservation, and healthy regional economies. Nick Offerman is the author of two bestselling collections of humorous essays, Paddle Your Own Canoe and Gumption. He is also the proprietor of The Offerman Woodshop, which you might be surprised to learn operates amid the glitz and glamour of Los Angeles. There, Offerman and his crew of woodworkers design and create not only fine handcrafted furniture, but also fun stuff like kazoos, baseball bats, and ukuleles. In his new book, Nick and his ragtag crew will share their experiences of working at the Woodshop, tell you about their passion for woodworking, and even teach you how to make a handful of their most popular projects. Even if you're not into woodworking, you'll enjoy this ode to craftsmanship heavily laced with Nick's unique brand of humor and tomfoolery.